Sounds safe, right? Who wouldn’t want to be safe from the happenings in and related to the ISIL? Beheadings? Ransoms? Kidnappings? Suicide bombing? No thanks. Fortunately, Harper’s proposed Bill C-51 will allow CSIS to act like a police force. Although CSIS is unable to make arrests or detain suspects, the agency will be able to “disrupt” threats instead of just collecting intelligence. (Let’s not forget that Bill C-51 is an addition to Canada’s existing security certificates as a response to the war on terror – but that’s for another blog post. In the meantime, check out the documentary Secret Trial Five). I hope you didn’t skim over the fact that if Bill C-51 gets passed, CSIS will have police-like-powers. This news comes as shocking because CSIS was deliberately separated from the police work around 30 years ago. Why? Because the RCMP consistently breached several laws and civil rights. It seems to me that while we’re trucking along with Harper’s plans, we’re foregoing a few crucial lessons from our history. 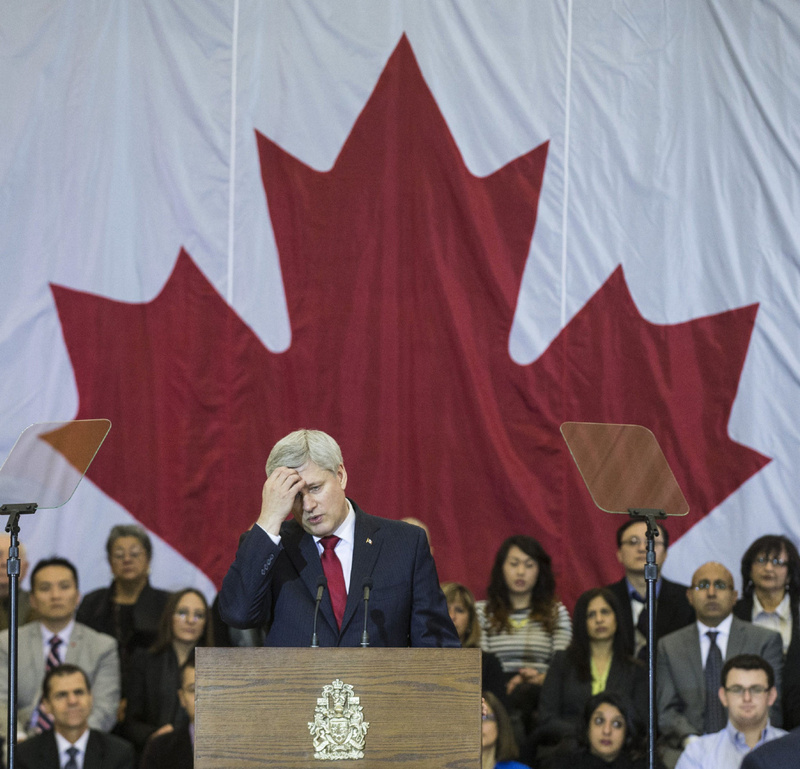 Harper also warns us that jihadists are the real threat to Canada’s freedom – not Bill C-51. When asked whether or not the new bill threatens Charter rights, Harper vaguely replied “it’s the jihadis who would take away our freedoms…they want to harm us because they hate our society and the values it represents”. We as Canadians shouldn’t be so eager to accept the new anti-terrorism bill at the expense of our constitution. Nor should we be manipulated to divert our attention from a closer fear: our campaigning Prime Minister’s intention to take our freedoms away. So yes, Harper got me good. He has me exactly where he wants me to be – scared, confused and wanting to be safe from the big bad wolf. But here’s the thing. This aggressive approach to “national security” fails to resolve the root issue of extremism and terrorism in Canada. Of course, ISIL poses a threat to the entire world. Of course I want my family, friends and fellow Canadians to feel safe and secure. But I don’t want it at the cost of our civil liberties. What are your thoughts? Do you think Bill C-51 should be passed? Does it compromise our civil liberties? Should we sacrifice our freedom for safety and security?